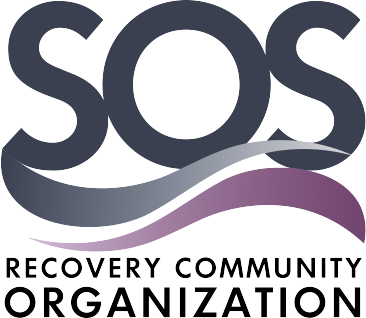 Subscribe to the SOS newsletter and view archives today. Please call our main phone number to speak with someone at your nearest Center, view our official website for service descriptions and enrollment forms, or walk into any of our Center locations to speak with our helpful volunteers and staff. SOS was an idea inspired by the successful Recovery Community Center model present elsewhere in New England, and brought to fruition by local people in recovery and their allies. SOS was brought to scale through the Strafford County Public Health Network, numerous community partnerships, the fiduciary backing of Goodwin Community Health FQHC, as well as financial investment from individual donors, Wentworth Douglass Hospital, and the State of NH. We operate two RCCs in Strafford County using minimal staff and a robust volunteer workforce of trained peers in recovery, family members in recovery, and recovery allies. The mission of SOS Recovery Community Organization is to reduce stigma and harm associated with substance use and misuse by providing safe space and peer-based support for people in all stages of recovery. SOS Recovery Community Organization envisions a world where recovery from addiction to alcohol and other drugs is possible and widely embraced through low- barrier access to inclusive and respectful support, and where all who seek long-term recovery have access to the care and resources they need to achieve their self-defined goals. Strong ability to help navigate services for people in need. Indoor rock climbing on Fridays!